Where Can I Buy a Tofurky? So you've decided to venture into the unknown and try one of those birdless birds with the funny name that you keep hearing about. It's not a bird, it's not a plane, it's Tofurky! Where should one go to find one of these mysterious boxed creatures? If there's a Trader Joe's or a Whole Foods near you, you're in luck, as you can purchase your Tofurky at any Whole Foods or Trader Joe's location. In fact, nearly all health food stores and natural food stores and many locally owned co-op grocers will stock Tofurky roasts during the holiday season. If you frequent a local store, ask your grocer if they will stock it. If they know you are interested, they will often be happy to special order it just for you. Many larger grocery chains and regional grocers are now selling Tofurky products, at least during the holiday season. These include Albertsons, Vons, Ralphs, Publix, Fred Meyer, Safeway, Shop-Rite, Food Lion, Kroger, Harris Teeter, Wegman's and even some Costco locations as well as Whole Foods and Trader Joe's. In other words, you can find your Thanksgiving Tofurky just about everywhere these days! You can always ask at your supermarket customer service desk if they will be stocking Tofurky. They will often fulfill your request and notify you when it comes in. Remember: Tofurky comes both on its own and as part of a Tofurky Feast, with vegetarian gravy and a vegan wishbone, so not all of these locations sill sell all of these options, but they will all at least have one Tofurky option. For a complete list of local retailers, check out the online Tofurky shopping guide to find a store in your city. You can search by location and distance by 5 miles, 10, 20, 50, 75, or 100. You can also search by product. You'll see locations on a map, with the name of the store, address, and phone number so you can drive there or give them a call to make sure they still have Tofurky in stock. You can also find a retailer If you live in Singapore, Germany, Australia, Belgium, Canada or the UK, you're in luck. In the UK, for example, Tofurky is available in many independent health-food stores, Planet Organic, Whole Foods, and at Holland & Barrett. 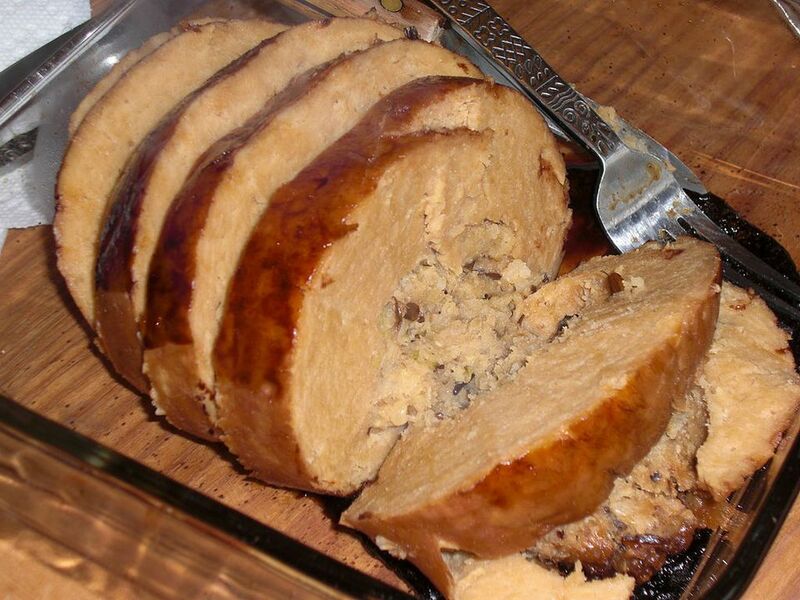 If you still can't find a Tofurky in your neighborhood, or if you live elsewhere in the world, you can order one online. The Tofurky company no longer fulfills orders themselves, but you can find many other online retailers that will ship you a tofurky. You can do a search for Tofurky Feast to find an online retailer. For example, VeganEssentials.com will ship the Tofurky Vegetarian Feast, but it is perishable, and they recommend paying for shipment in a cold bag or cold box with a two-day shipping time, which adds additional shipping expense. Doesn't the Bible Say We Can Kill Animals for Food? Is Bragg's Liquid Aminos Really Healthier Than Soy Sauce? Expecting Vegetarians at Thanksgiving? We Can Help! Do Vegetarians Drink Milk Or Is It a Non-Vegetarian Food?